Home / Articles tagged with "Tattoo"
His story may give you pause the next time you’re thinking about inking. 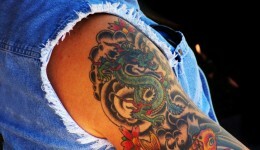 You thought it was cool at the time, but more and more Americans are getting rid of their tattoos. Find out why.